Our dinner menu features innovative dishes that include seasonal and local produce. Each dish can be paired with carefully selected wines and craft beers. We invite guests to experience our tasting menu. We accommodate to dietary restrictions and allergies. 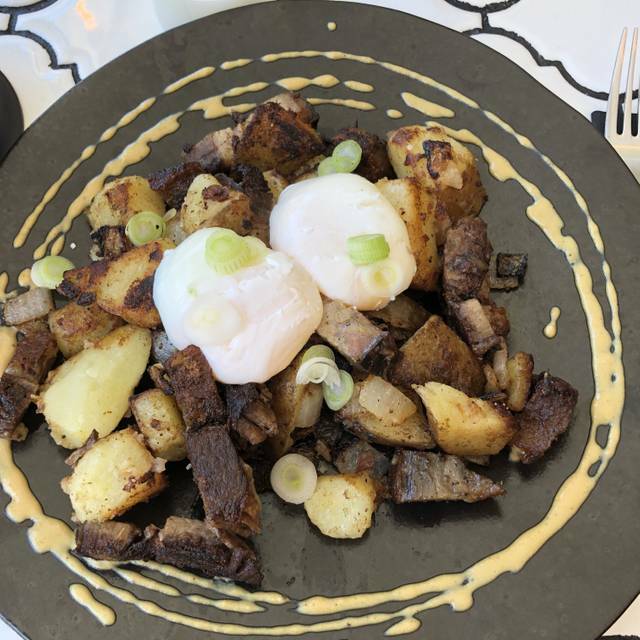 On weekends, Fieldstone adds its unique style to the active Mile End Brunch scene. Super repas savoureux et service discret et courtois. À refaire! The food was beautiful, surprising and delicious. An amazing value for the level of detail and care. Great for foodies and special occasions. 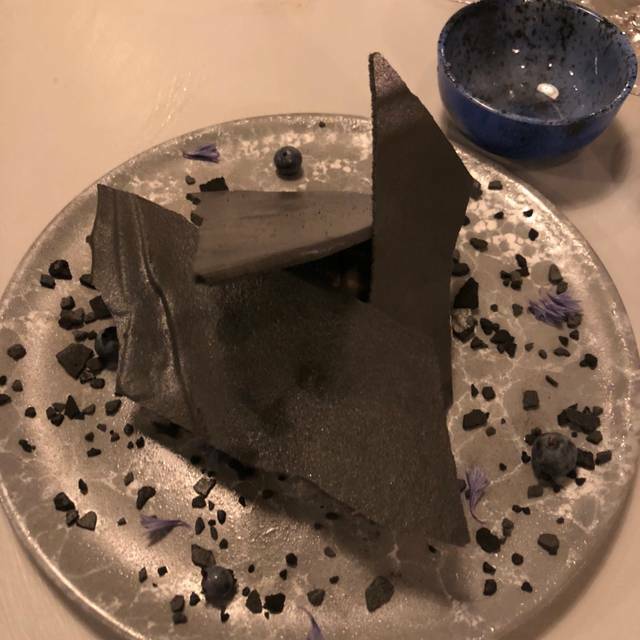 Fantastic food, really flavourful and unique with beautiful presentation. Service was kind and the space was welcoming. The brunch felt like a great value as well. We'll definitely be back! Simply amazing, on every level. Le menu était delicieux et la version végétarienne était très bien adaptée. We discover this restaurant by luck. The food is amazing. The flavour are unique in Montreal. Probably the best meal we’ve had in Montral! And it was awesome to meet this great crew! Très belle carte de brunch où tout le monde trouve son compte, même les végétariens. Les plats étaient délicieux et l'endroit agréable. Nous y retournerons surement pour un souper. Amazing food and service! Bravo au chef pour cette expérience culinaire! En plus, il vient lui-même présenter les plats à la table. Great service, wine pairing was interesting although perhaps not my first choice. Food was creative and well plated, but flavors fell a bit short. I had high hopes trying this restaurant, but was a little disappointed. For the price, good but not great, I don't think I would go back. Hello there, first we want to apologize that your experience was not as enjoyable as we wish it could have been. Our small team is a family that works very hard to share our passion with our guests. Our prices reflect as such, due the time invested on creating and sourcing for our menu and wine list. We hope that you may consider dining with us again in the future as our team and restaurant continue to grow. Thank you for your time. Fieldstone has excellent vibes, lovely employees, and delightful and surprising food. Highly recommend. Amazing restaurant. They make us travel around the world with the food. Beautiful presentation and taste are delicate and sophisticate. The food was excellent and the service was great. Will definitely come back! The food is excellent and the staff very friendly! Overpriced and disappointing. Lots of better options for dinner within walking distance of Fieldstone. I would go back but only for brunch. Je crois que tamiser les lumières un peu plus et ajuster la musique et ce serait parfait, c'est le seul commentaire ! C'était délicieux du début à la fin, avec constance mais toujours surprenant de plat en plat. Nous étions entre amis, 4 personnes, tous ont adoré. 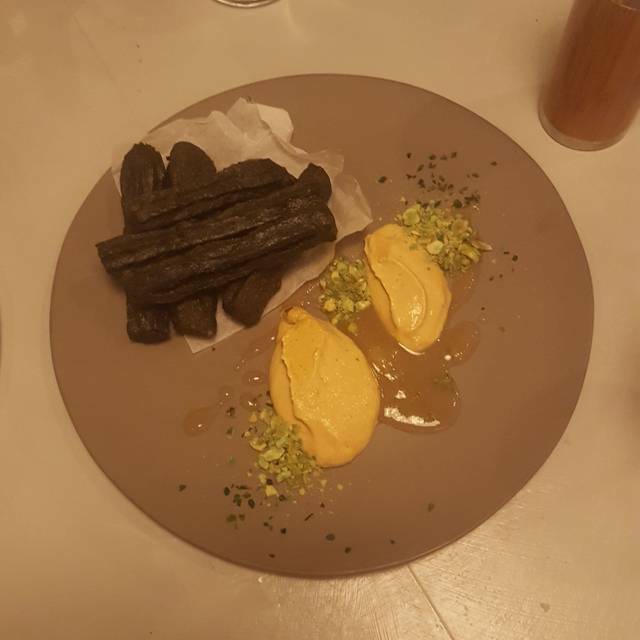 Le resto semblait vide et silencieux...mais les plats très bien. Wonderful experience and incredibly talented team! Extremely enjoyable, world class cuisine! We dined at Fieldstone on our last night in Montreal. After several very great meals around town, we were delighted with our experience at Fieldstone. The food is simple yet innovative - fresh and flavourful. The staff was personable and knowledgeable about the food - and made our experience very special. Can’t wait to recommend to friends and come back! Randomly went to this restaurant for brunch. One of the best brunch experiences I’ve had. Will definitely go back for dinner. The creativity of the tasting menu was off the charts! A bit of a stark decor, but everything else was amazing! The amuse bouche was a dumpling stuffed with kimchi & cactus, it was smoky,tangy & tasty. The 1st dish was chopped beet with goat cheese & macadamia, nicely formed like a patty,over all it was good. The 2nd dish was a creamy pumpkin soup with an asian type ginger & seafood garnish, it also was good. The 3rd dish was puréed cauliflower(I think)with torched sliced scallop coloured cauliflower & micro greens . Visually very nice dish & nice taste. The 4th dish was pork cheeks with an asian/mexican fusion molle, micro greens & green onions. Very good. We then had a subtle taste changer sorbet of lychee & pomegranate. The staff are the owners so they know the ingredients & pay attention to the details. Not to mention very friendly! Part timers in Montreal and our 6th visit here this year. Chef Chanthy surprises our taste buds every time. 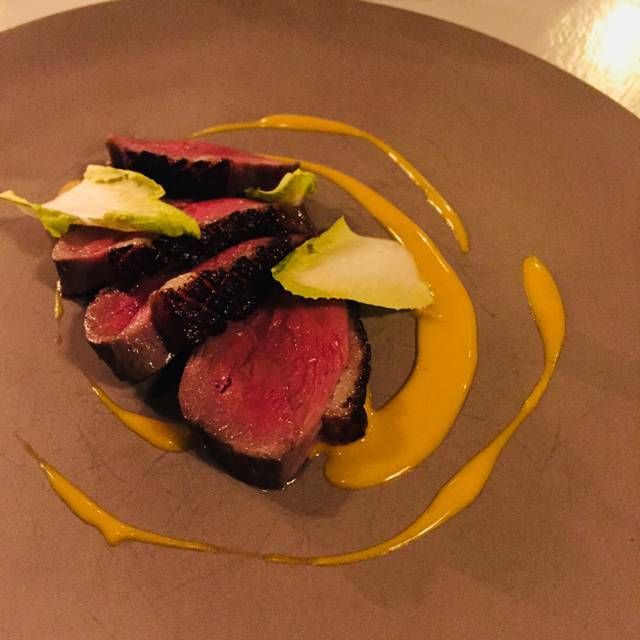 Brought first timers with us last night and they were blown away by the duck and sea urchin. Always appreciate how effortlessly they accommodate a gluten free diet for the tasting menu. Thanks to Alanna and Emiliano for their impeccable service and attention to detail. They always make it special. Tapas style portion. 5 or 7 courses choice or a la carte. Every dish was very good to simply amazing. Very creative chef. This place needs to be discovered if you like "off the chart food" check their menu! For some reason this place is under the radar, maybe because of the very simple dinning room. But wait till the food is served, you will be simply astonished by the refinement and execution of every dish. A friend from Vancouver recommended I try fieldstone. The food was exceptional and the service was outstanding. The owner took the time to check in on us. Every dish was explained in detail. Would definitely eat here again! Great experience. Let the kitchen and the service lead you to a great land of deliciousness. Great food and presentation, yet a very relax vibe. Will come back to try the brunch and the new menu. Again, the team at Fieldstone continue to up their game ! The food is tremendous and the service is great. Check this place out, you will be glad you did. Loved the food, ambiance and service. My only critique is that my food was a little too salty. Brunch this morning was really good. Coffee was excellent. The meals are very creative and not your usual brunch fare. This restaurant is certainly worth a visit. Tous les plats étaient excellents et originaux, une belle découverte! Loved the pumpkin soup, scallop dish & , duck was an incredible portion! My fiancé and I were engaged during our trip to Montreal. We visited Fieldstone at the suggestion of our Air BnB host. The food and service were exceptional without the snooty or pretentious vibe. 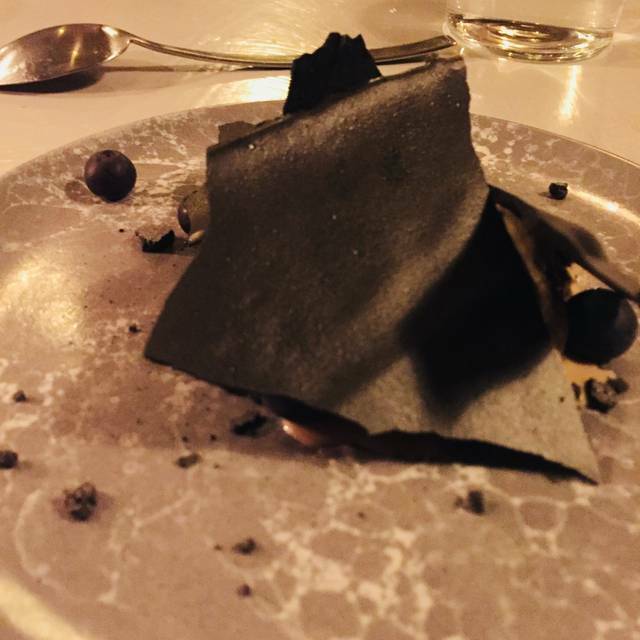 I would definitely eat here again on my next visit--especially for the signature dessert. We went for brunch on a supper recommendation from a friend - so maybe supper would be better. Ordered the Chorize sausage which came with potatoes and fried egg. Sausage was way too fatty but least interesting was the giant bits of cartilage. Nothing green on the plate. This restaurant is a gem. Every dish we had was creative, interesting, and absolutely delicious. From the tomato salad to the halibut ceviche to the pork cheeks. Very solicitous service as well. Wish we lived in the area so we could return often! Great romantic dining experience. Great creativity combined with comfort of a restaurant whose staff is gracious and kind spirited. Can’t wait to go back next year. Amazing from start to finish. Highly recommended! Amazingly different brunch. Creative and flavorful. Would love to try their tasting menu. We hadn't visited Montreal in a few years and were only in town for two days, so we really wanted to make our one real meal out a good one. A friend that works at El Pequeno recommended Fieldstone to us and now I feel like a I owe her for life. The staff were freindly and personable. There was no pretense, despite the food being elevated concepts. The beer, wine and cocktail lists, while small, had everything you could need. Don't miss out on Fieldstone if you are visiting Montreal. The 8 course tasting presentation with suggested wines to accompany the courses made for an outstanding evening from every perspective. The food is both delicious and innovative. The wines were all well chosen, generous size glasses and interesting bottles. The restaurant offers incredible food and at “value” prices. This is a restaurant to experience.